August 13 has become associated with the Goddesses Hekate and Artemis as a day/night to honor them and propitiate appropriately to ward off storms that could potentially destroy crops. While the observance of this day survives to present ritual celebration, the ancient origin and sources to back it up are not readily apparent. Modern adaptation may come from August 13 being listed in the Goddess Book of Days by Diane Stein. We would assume that requesting protection of crops would be an appeal to Goddesses related to harvest and agriculture. Hekate was not an agricultural Goddess and Artemis was known for Her presence in “the wild” (Artemis Agrotera), not the fields. As well, the date of August 13 does not correspond with any Greek harvests that would give us some answers to ancient sources. Winter is the time of year that Greeks would be concerned about destructive storms. It is possible that a conflation occurred with the Roman Festival of Nemoralia – the Feast of the Torches honoring the Goddess Diana – which is (and was) celebrated at the August Full Moon (Nemoralia will be on the Super Moon in Pisces on August 30 this year!). During Nemoralia, Hekate was recognized as the Goddess of the Dark Moon and propitiated with garlic. Given that torches are one of the primary symbols of Hekate and She is frequently associated with Artemis/Diana and the Moon, we can see how the date in August may have originated from Nemoralia. Interestingly, On Images by Porphyry does make reference to crops when referring to Hekate and Her torches. Hekate is Dadouchos (torch-bearer) and is frequently depicted with one or two torches in ancient Greek artwork and writings. Several of Her epithets refer to Her light (which also comes from Her Chaldean associations): Phosphorus – Light Bringer and Purphoros – Fire Bringer. These would be references to creative fire rather than destructive fire such as lightning. 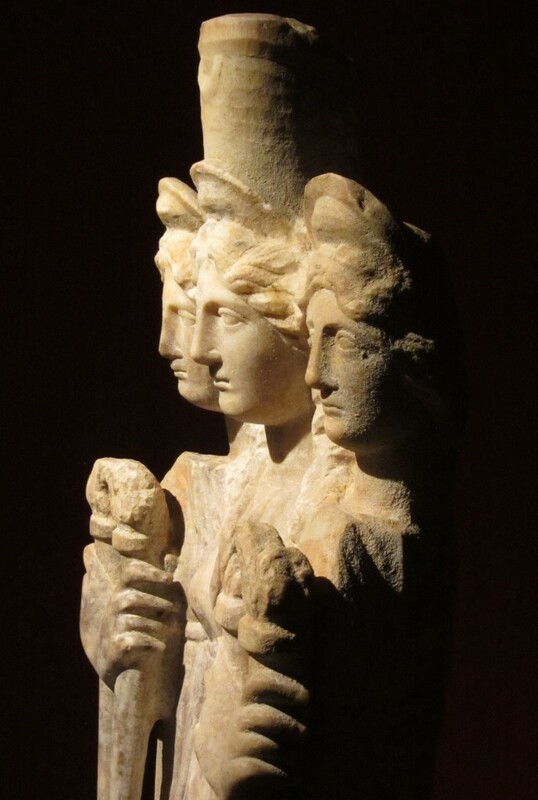 Another possible source for relating Hekate to storms (as a natural disaster) and propitiation is that the katharmata (offscourings) were left at the crossroads for Hekate and Her horde. Modern day devotion and celebration enjoys adaptation of ancient practices when possible. 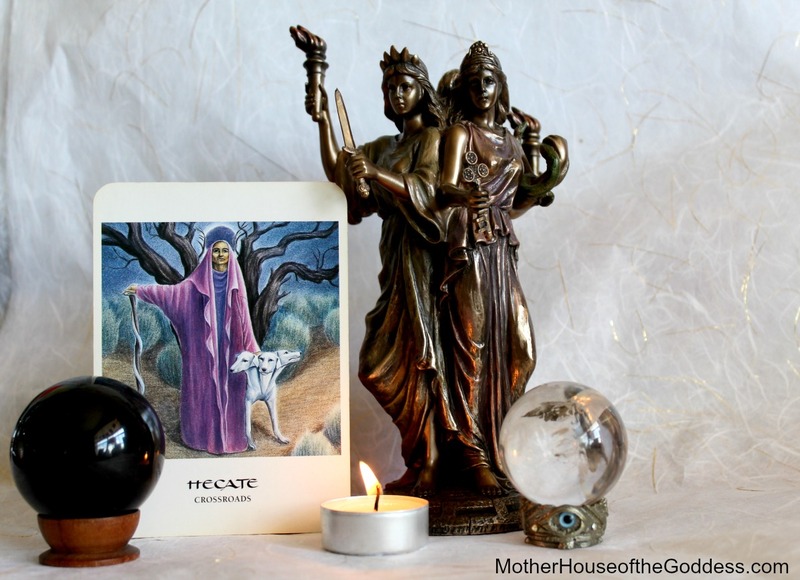 While August 13 may not have clear historical connections, do we need an ancient reason to celebrate Hekate and make offerings? Another of Her epithets is Soteira, Saviour. Hekate is certainly available to devotees seeking protection and to Her we may turn in times of “storms”, emotional and physical. Enjoy the day and may She protect and bless you now and always!